This paper offers an insight on the description of the syntactic agreement between the singular dative pronoun and its nominal referent in a Spanish-written corpus. In particular, we focus on the comparison of examples such as (1) Les voy a hacer un juicio a Twitter e Instagram [I’m going to sue Twitter and Instagram] and (2) No le vamos a crear problemas a los diplomáticos [We won’t create problems for diplomats], the latter demonstrating lack of agreement. 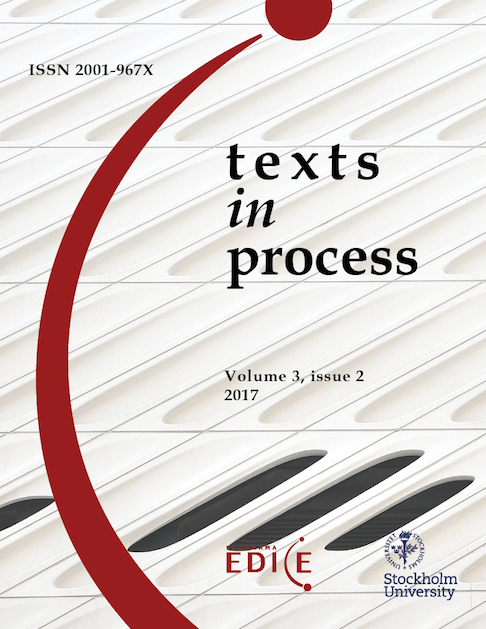 The main aim of this study is to offer evidence leading to a possible semantic depletion of the dative pronoun, given the fact that the process of generalized duplication of the indirect object may provoke that the dative clitic become a certain type of objective morpheme to the verb (Company, 2006) or a legitimizer of the oblique object (Navarro, 2005), and in turn undermine its value as argument participant (Torres Cacoullos, 2005). This would lead to the lack of agreement in number between the singular dative pronoun and its plural noun referent. Given such aim, we analyze whether the le pronoun and its noun referent are coreferential, with a view to determine if the lack of agreement furnishes evidence of a weakened referential ability of the dative pronoun. This paper seeks to examine if the clitic counts as an anaphor, in such cases in which an antecedent construction in agreement exists, or as an incorporated clitic, when no such agreement with the noun phrase serving as indirect object is offered. Following the principles of this theoretical perspective, linguistic forms are described through a careful attention to the real contexts of appearance, and their analysis includes the measurement of statistical significance and the accountability of the data through objective means. Therefore, this work methodology takes on a qualitative and quantitative approach, and resorts to the collection of corpora of authentic texts hailing from the present-day Argentinian written press. Vanina Andrea Barbeito has a Bachelor of Arts (UBA) and a Teaching Diploma for Secondary and Higher Education in Letters (UBA). She is also a Journalist (TEA). She is currently a PhD candidate at the Faculty of Philosophy and Letters (UBA). Her thesis topic is the pragmatic-semantic, syntactic and prosodic analysis of the appositive construction, problem that she approaches from the Cognitive - Prototypical Approach. She is Regular Adjunct Professor of the Grammar Chair in the Faculty of Philosophy and Letters (UBA) and director of the research project PRIG "The alternation of the dative pronoun (le / les) in ditransitive schemes: reference to the object and process of de-semantization", filed in the same institution. She is also a researcher in projects UBACyT and the National Council of Scientific and Technical Research (CONICET). Julieta Murata Missagh has a Bachelor of Arts and a Teaching Diploma in Secondary and Higher Education in Letters (University of Buenos Aires), as well as a Technical and Public Translator in English (National University of Lanús). Since 2014, she has carried out research assistance tasks in the Chair of Grammar in the Faculty of Philosophy and Letters (UBA). She is a member of the PRIG project entitled "The alternance of the dative pronoun (le / les) in ditransitive schemes: reference to the object and the process of demystification". She has participated in several national and international academic events as an exhibitor, and has published research articles in the areas of grammar and sociolinguistics. Silvina Peri has a Bachelor of Arts (UBA) and a Teaching Diploma in Secondary and Higher Education in Letters (UBA). She is currently Assistant Lecturer in Grammar at the Faculty of Philosophy and Letters (UBA) and deputy director of the PRIG research project "Alternation of the dative pronoun (le / les) in ditransitive schemes: reference to the object and process of desemantization", based in the same institution. She is a teacher of the subject Reading, writing and orality in English Teaching Staff, at the Higher Institute of Teaching Dr. Joaquín V. González and of Language and Literature in institutions of average Level of the city of Buenos Aires. Her research focuses on the area of grammar and consider the theoretical framework the prototypical cognitive approach. Alarcos Llorach, E. (1994). Gramática de la lengua española. Madrid: Espasa Calpe. Bresnan, J. (1998). Markedness and Morphosyntactic Variation in Pronominal Systems. Handout for the Workshop Is Syntax Different? Common cognitive structures for syntax and phonology in Optimality Theory.12-13 de diciembre de 1998, Center for the Study of Language and Information. Company Company, C. (2001). Multiple dative–marking grammaticalization: Spanish as a special kind of primary object language. Studies in Language 25, 1–47. Company Company, C. (2002). Reanálisis en cadena y gramaticalización. Dativos problemáticos en la historia del español. Verba. Anuario Galego de filoloxía 29, 31-69. Company Company, C. (2006). El objeto indirecto. En C. Company Company (Ed. ), Sintaxis histórica de la lengua española. Primera parte: La frase verbal (Vol. I, pp. 479-574). México: Fondo de Cultura Económica. García, E. (1975). The Role of Theory in Linguistic Analysis: The Spanish Pronoun System. Amsterdam: North-Holland Publishing Company. García, E. (1986). The case of Spanish gender: Referential strategies in language change.Neuphilologische Mitteilungen, 87, 165-184. García, E. (1990). Bilingüismo e interferencia sintáctica. Lexis. XIV. 2. 159-195. García, E., Otheguy, R. (1983). Being polite in Ecuador. Lingua, 61, 103-132. Hopper, J. P. (1998). Emergent Grammar. En M. Tomasello (ed. ), The new psychology of language. Cognitive and functional approaches to language structure (pp. 155- 175). New Jersey: LEA. Klein-Andreu, F. (1993). Distintos sistemas de empleo de le, la, lo. Perspectiva sincrónica, diacrónica y sociolingüística. En O. Fernández Soriano (ed.). Los pronombres átonos (pp. 337-353). Madrid: Taurus. Lakoff, G. (1977). Linguistic gestalts. Chicago Linguistic Society 13: 236–87. Lakoff, G., (1987). Women, fire and dangerous things. Chicago: University Press. Langacker, R (1991) Foundations of Cognitive Grammar. Descriptive Applications. Stanford: Stanford University Press, Vol.2. Langacker, R.(1987). Foundations of Cognitive Grammar, vol. 1. Stanford: Stanford University Press. Langacker, R. (1999). Grammar and Conceptualization.Cognitive Linguistic Research: 14. Berlin: New York, De Gruyter Mouton. Martínez, A. (2000). Lenguaje y Cultura. Estrategias etnopragmáticas en el uso de los pronombres clíticos lo, la y le en la Argentina en zonas de contacto con lenguas aborígenes(Tesis doctoral).Holanda: Universidad de Leiden, Instituto deLingüística Comparada. Martínez, A. (2015) ¿Cómo afecta la cultura a la gramática? El caso de los clíticos en el español americano. Círculo de Lingüística Aplicada a la Comunicación 61, 186-210. Mauder, E. (2008) Pronoun variation in Latin American Spanish. A data engineer’s view on le and lo. Netherlands: LOT. Milroy, L. (1987). Observing and analyzing natural language. A critical account of sociolinguistic method. New York: Blackwell. Mojedano, Andrea (2014) Variación de le/les en diferentes zonas hispanoparlantes: México, Colombia y España. IULC Working Papers, Vol.14: 2, Indiana University. Navarro, I. (2005). Valores de le en español mexicano: un caso de incorporación pronominal. Barcelona: Universidad Autónoma de Barcelona. Real Academia Española. (1975). Esbozo de una nueva gramática de la lengua española.Madrid: Espasa Calpe. Rosch, E. (1978). Principles of categorization. In Eleanor Rosch y Barbara Lloyd (ed.). Cognition and categorization (pp. 27-47). Hillsdale, NJ: Erlbaum. Suñer, M. (1986). Los Pronombres Nulos. Revista Argentina de Lingüística 2, pp. 151-66. Taylor, J. (1995). Linguistic Categorization. Prototypes in Linguistic Theory. Oxford University Press, USA. Torres Cacoullos, R. (2005). La perspectiva diacrónica en variación sincrónica: el dativo de intensificación. En G. Knauer, & V. Bellosta von Colbe (Eds. ), Variación sintáctica en español: un reto para las teorías de la sintaxis (pp. 191-210). Tübingen: Niemeyer. Wanner, D. (1987). Clitics Pronouns in Italian: al linguistic guide. Italica 64- 3, pp. 410-442.